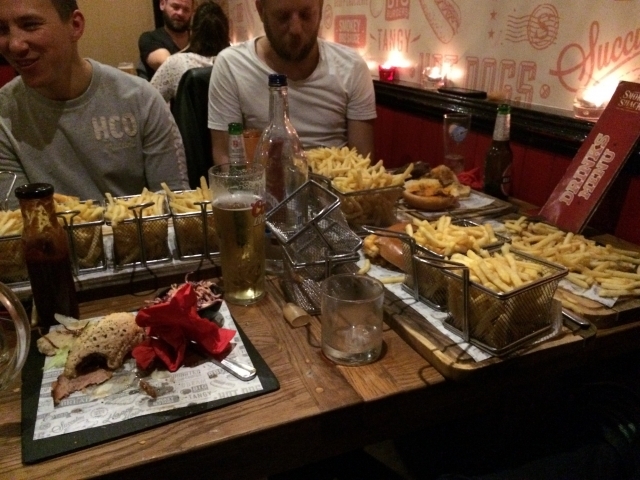 Last month our rocketeers took on the immense food contest, ‘Drop Ya Draw Burger Challenge’ ran by The Smoke Shack in Milton Keynes. The challenge requires the contestant to consume a colossal beast of a burger, comprising of a Shack-recipe 24oz (yes 24oz!) 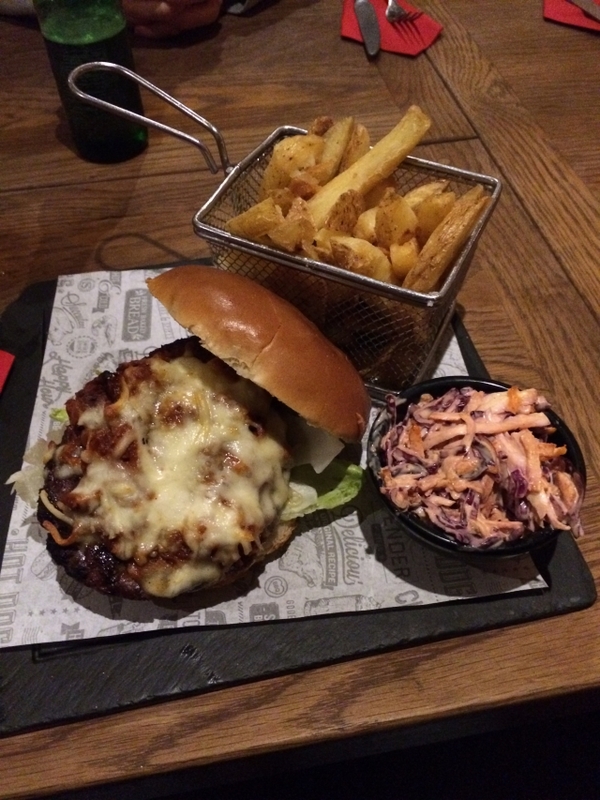 beef burger, topped with 16oz of smoked rib meat soaked in chipotle sauce, six slices of Swiss cheese and four portions of skinny fries OR triple cooked, skin on chips all in under 30 minutes! Upon completing the challenge the winner will receive a gold-edition Spoke Shack Champion t-shirt and their photo mounted on the Wall of Titans, which currently has only four members! Nevertheless, our rocketeers were unfazed, and confidently entered the Smoke Shack ready for the belly bursting challenge ahead. One-by-one, the monstrous burgers emerged from the kitchen and with them; the confidant demure of our rocketeers diminished. Now, towering in front of them was enough food to feed a small army. The challenge began at 6:50pm and was due to complete at 7:20pm. By the time we reached halfway we had lost a competitor, our waistlines, and probably knocked several years off our life, but we remained undaunted. By 7:15pm time was running out, faces were turning grey and the meat sweats were in full flow, but with five minutes to go we had nothing left to lose. Finally, the buzzer sounded – it was all over. Although we didn’t make it on to the Wall of Titans, it was great fun and showed a mammoth effort from all, with a clear inter-company winner: Mark Dimech! A meaty congratulation to all!